Would you like more chances to win in our weekend promo drawings? 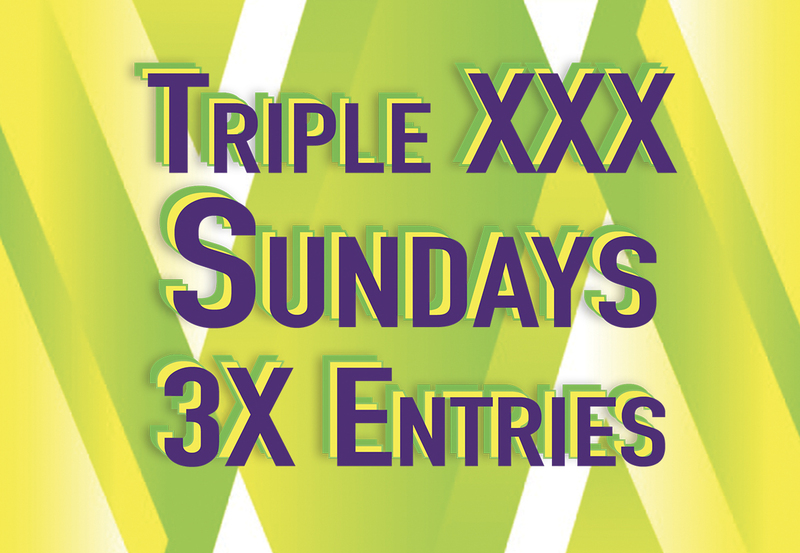 Come in every Sunday to earn 3X entries from 8AM to Midnight. 50 base points = 3 entries in all promotion drum drawings!